Now that we are finally moved in, I am finally going through the basement and locating things and setting them up. 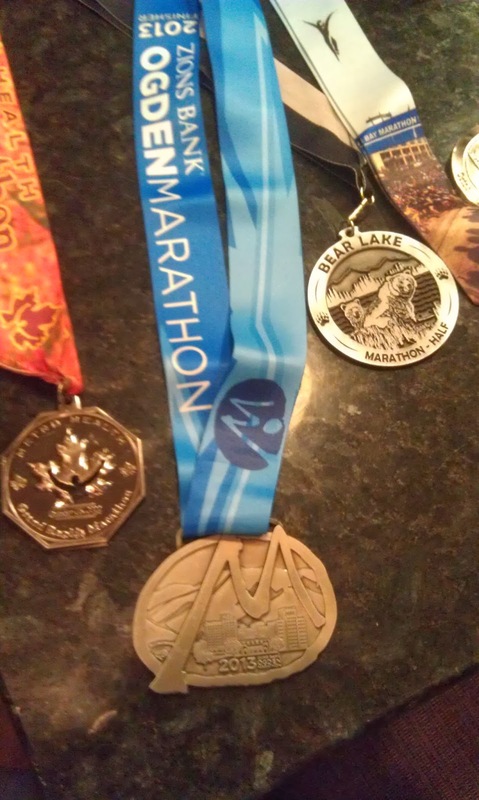 I was on the lookout for all my running bling, as I'd like to display them in the house. 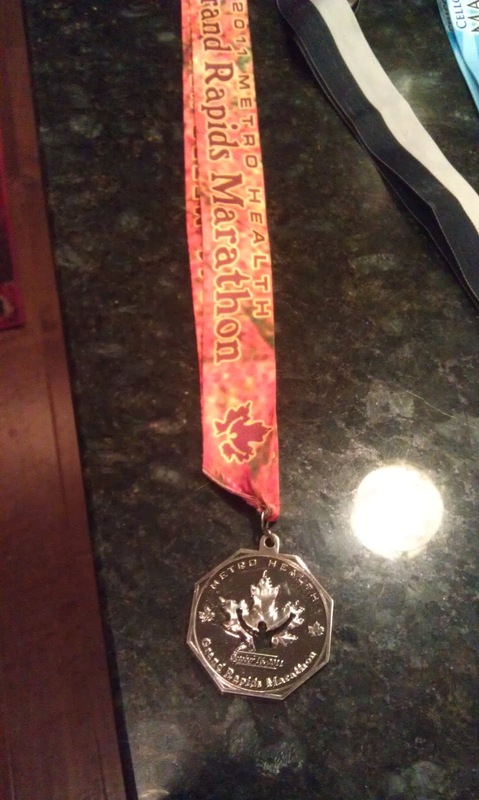 Luckily, I found the box containing them and figured that the marathon medals in particular would make an interesting post. 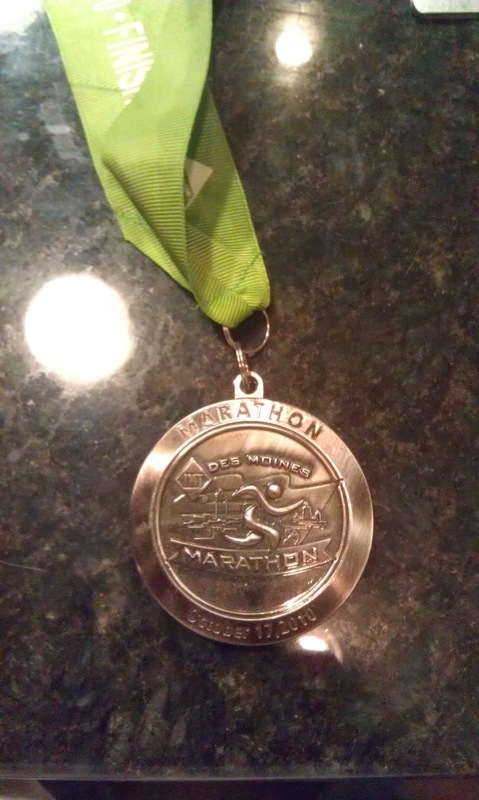 Unfortunately, I was unable to locate (for now) the 2009 and 2010 Las Vegas Marathon medals. I suspect those are with some other clothes or in a drawer, but I did manage to find all my other other medals and trophies. Green Bay Marathon in 2011. This was best effort ever in a marathon. I turned in a 3:38:54 despite an officially long course. Temperatures were cool but there was a 40 mph wind that blasted me for about 5 miles in the face. I'd love to have seen what I would've been able to do without the weather conditions. I was highly trained and while running in Green Bay made my Chicago blood curl, I loved the race. 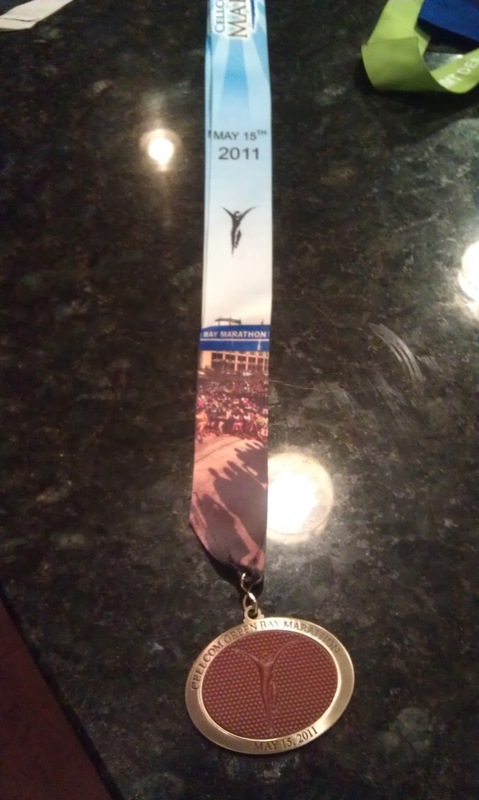 I love the ribbon on this medal and I'd love to do this race again. A world-class event. 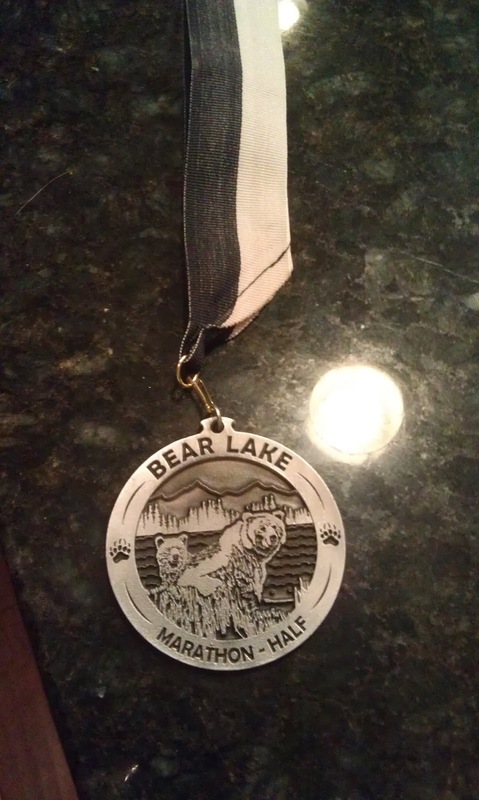 Bear Lake Marathon 2013. This race started in Idaho and finished in Utah, thus counting as an Idaho Marathon. I did a write-up on this one. I did this race for "fun". I ran it in 4:30 or something and did it on a whim. Grand Rapids Marathon 2011. I ran like crazy for the first 15 miles and I just remember after that my gut just felt "off" I wound up having the major dry heaves when I was done. I finished in 3:45. Just a wonderful marathon though -- definitely recommended. Ogden Utah Marathon 2013. I wrote about it on this blog so if you look around, you'll find it. Just two words: cold and wet. Finish time: 4:13-ish. 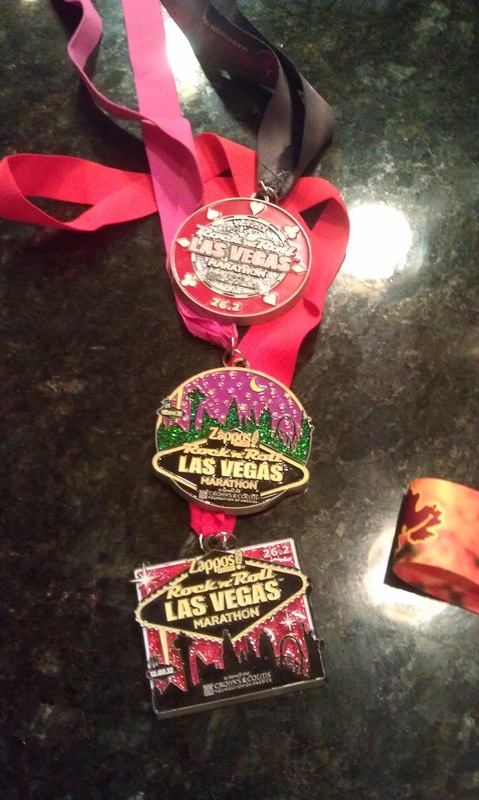 Las Vegas Marathon 2011, 2012, 2013. These medals could be a weapon. They are HEAVY. They also glow in the dark. I ran a 4:04, 4:15 and 4:15 or there about. I love the Vegas marathon and hopefully I can dig up the 2009 and 2010 medals. I ran 3:39 and 3:39 in 2009 and 2010. 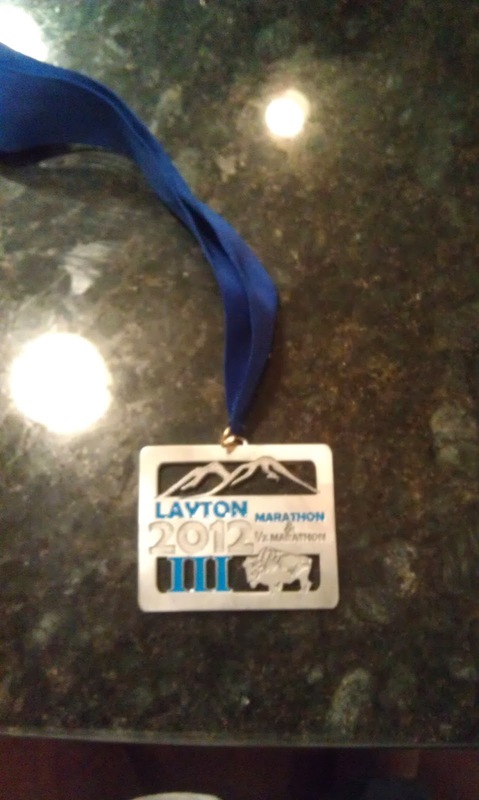 Layton Utah Marathon 2012: This one starts on an island and you run off to the mainland. It got pretty warm and I missed the first two water stops and I never really recovered. By mile 17 I was doing the dead-man's shuffle. I was also cramping very badly. I want to say I finished in 4:17 or so. I almost swore off marathons after this race. Des Moines 2011 Marathon: Another really nice race. I registered for this race about a week or two before the event and even nailed a hotel close to the race site. I have some fond memories of this race and ran a great time of 3:39. This course is hilly but definitely recommended. Perhaps I will do a write-up on it... funny experiences.